In large saucepan, bring broth and water to a boil over medium-high heat. Reduce heat to medium; stir in pasta. Simmer 8 to 12 minutes or until pasta is almost tender. 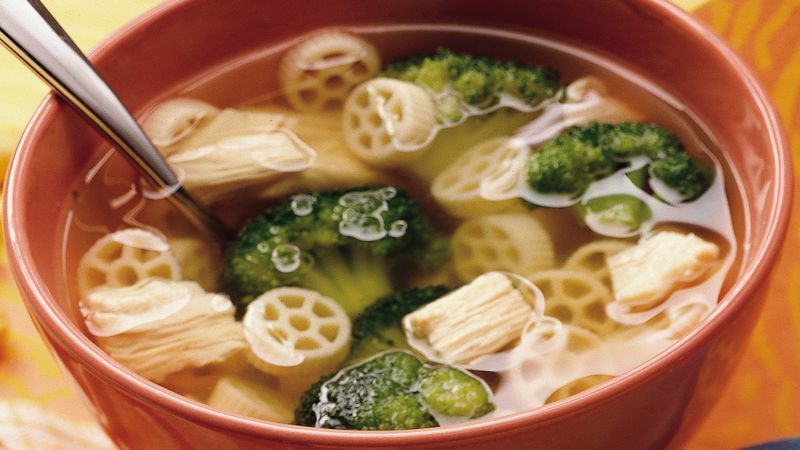 Remove broccoli from pouch; add to soup mixture. Cook 5 minutes. Stir in chicken. Cook about 2 minutes or until chicken is thoroughly heated and broccoli is tender.